Thirty years ago when Refuge Naturalist John Steiner, Dr. Chris Kitting, and others organized the Society, they were focused on raising funds to save the Fremont Pumphouse and support the newly formed San Francisco Bay National Wildlife Refuge. The Society accomplished those early goals and much more over the past years. Funded by the City of San Jose and the Santa Clara Valley Urban Runoff and Pollution Prevention Program, two Society employees were hired to staff the Environmental Education Center (EEC) in Alviso, and offer public programs and field trips for schoolchildren. The Society has also provided funds to help kick start the Bair Island restoration project, to build the EEC boardwalk, and to support many other projects these past three decades. Saturday, May 20, 2017 is National River Cleanup Day. Come help out with litter collection as we join others around the world in an effort to keep our rivers clean. 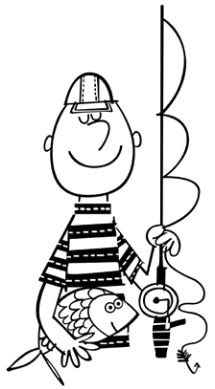 Together with other concerned citizens, we’ll pick up trash and tidy up a local body of water. Come with a hat, sunscreen, and a great attitude, and we’ll provide the rest. 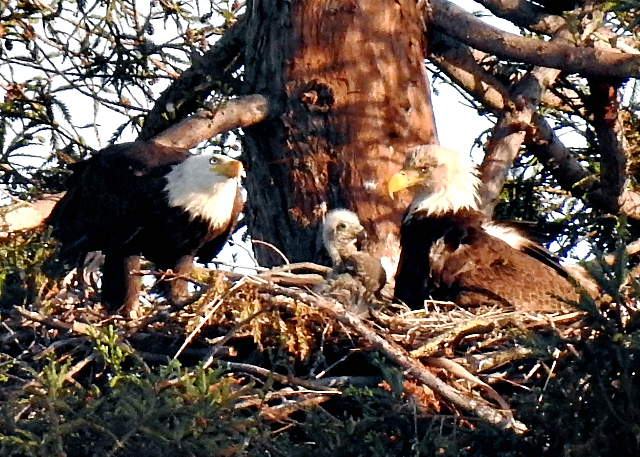 A bald eagle chick inside its nest in the tree tops above Cutner Elementary School in Milpitas. Credit Jyoti Chalpe. An American bald eagle chick hatched last Monday morning in a nest built in the trees above Cutner Elementary School in Milpitas. The hatching was confirmed by scientists at the Santa Cruz Predatory Bird Research Group. The baby bird's debut has been much anticipated since a pair of bald eagles took up residence near the school campus in late December 2016. The adult eagles have been seen feeding on small water birds in parts of the San Jose-Santa Clara Regional Wastewater Facility and Alviso Salt Ponds that are about a mile away. Join us at the Don Edwards San Francisco Bay National Wildlife Refuge for a free Mother's Day event! Priority to those who register early: https://eecmotherscelebration.eventbrite.com. For more information call 408-262-5513 ext 102 or 104. Saturday, May 13, 2017 from 10:00 p.m. – 3:00 p.m.
Our National Wildlife Refuges face many challenges. The Board of Directors at the San Francisco Bay Wildlife Society (SFBWS) strongly believes that standing with them and their mission is an important task. Thus the SFBWS, along with more than a hundred other refuge Friends groups nationwide, has signed a letter stating opposition to two bills, H.R. 218 and H.R. 1157. Respectively, the bills would authorize a road through the Izembek NWR in Alaska and a boundary change at the Monomoy NWR in Massachusetts effectively cutting that refuge in half. This letter was sent to the House Committee on Natural Resources to enter into the record of a legislative hearing by the Subcommittee on Federal Lands on Wednesday, April 5, 2017 at 2:00 PM EST. San Jose Conservation Corps cleaning up various ponds and levees in the south San Francisco Bay. Credit Olivia Andrus. 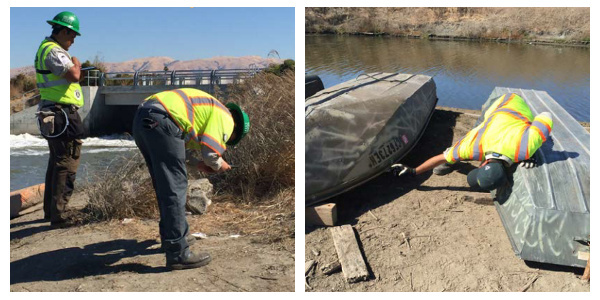 The Litterati app-based pollution prevention and trash clean-up, sponsored by the Santa Clara Valley Water District, is an ongoing success at the refuge. With the help of the San Jose Conservation Corps and volunteer groups, we have cleaned up nearly two tons of trash, keeping plastics and small pieces of trash often mistaken for food by wildlife and plastics out of the bay and ocean systems. Hundreds of low-income school children now have the opportunity to “Explore the Coast” of the Don Edwards Refuge by attending field trips enabled by the California State Coastal Conservancy’s Explore the Coast program. By funding interns to assist with refuge programs, we are providing environmental education for diverse audiences that open up a world of environmental appreciation and stewardship for future generations and their families. The Conservancy’s Explore the Coast Grant program encourages all Californian’s to explore and experience our spectacular coast. There is no minimum grant size but the maximum grant award is $50,000. If funding is available, the Conservancy will offer these grants every year. Since 2013, the Conservancy has awarded over $2.9 million to 109 projects. * Enhance the public’s coastal experience in a way that does not currently exist. Sign up to receive notification of when Vernal Pool Tours are available. These popular tours to view wildflowers and endangered plants occur in an area normally closed to the public due to the sensitivity of the habitat. Tours are free of charge. You will learn about the unique features of a vernal pool grassland, and hopefully observe the pools in what will likely be a good rain year! Participants will see endangered Contra Costa goldfields (Lasthenia conjugens), Downingia pulchella, several Plagiobothrys, and other native vernal pool and upland species. Rainbow Fields by Colin McRae. Credit Colin McRae. 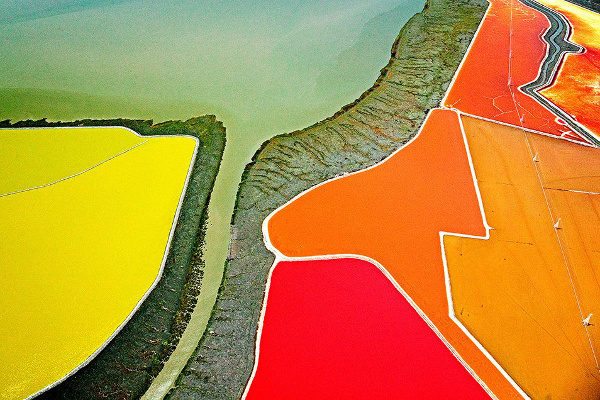 For the last eight years, Colin McRae has been flying over the San Francisco Bay Area, photographing the vivid and sometimes surreal colors of the salt ponds in the South Bay. His photograph "Rainbow Fields" was recently featured as "Photo of the Day" on a website for photography professionals, giving Bay Area residents an aerial perspective of the salt ponds hugging the southern shores of the San Francisco Bay.